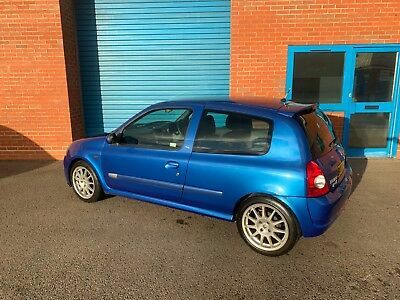 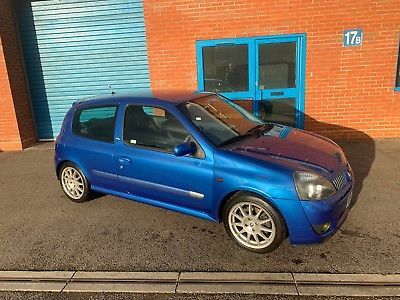 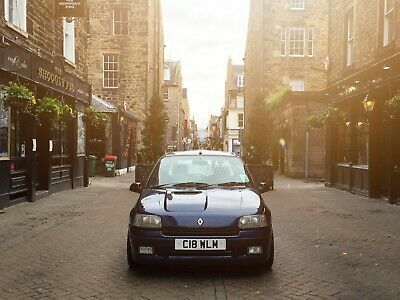 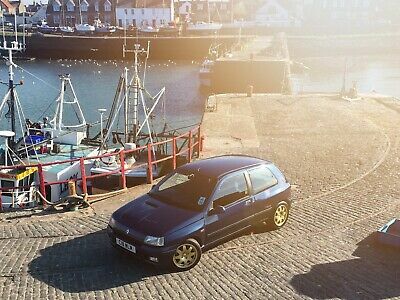 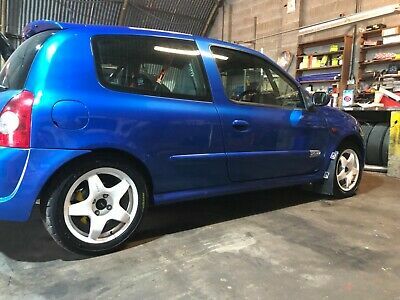 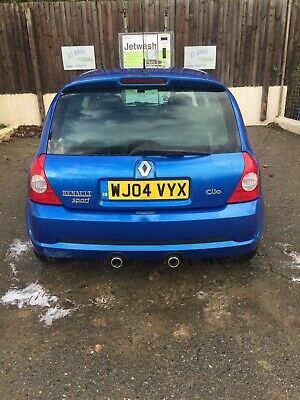 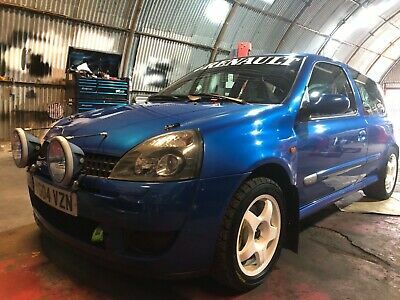 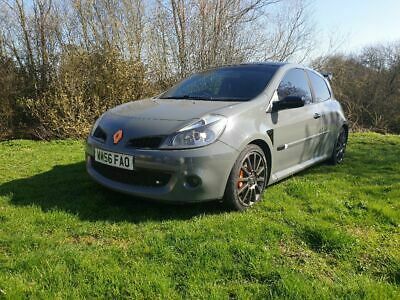 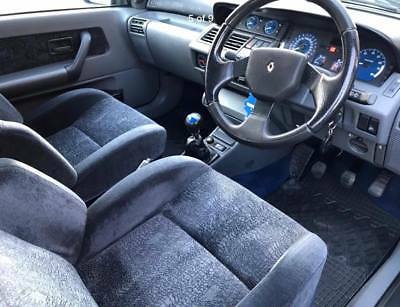 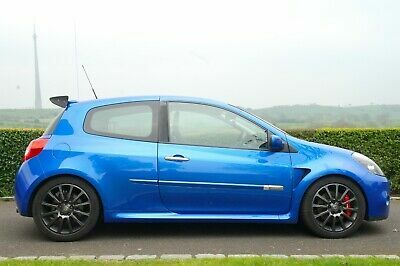 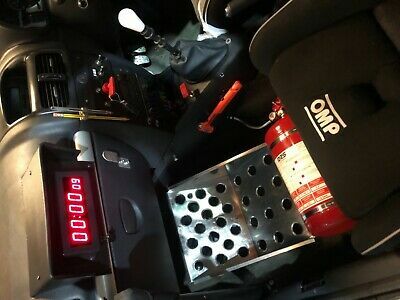 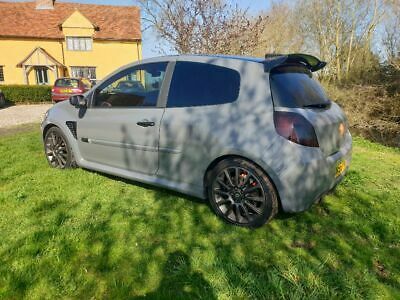 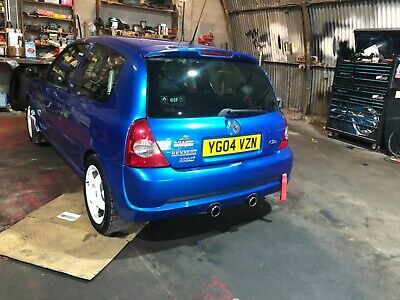 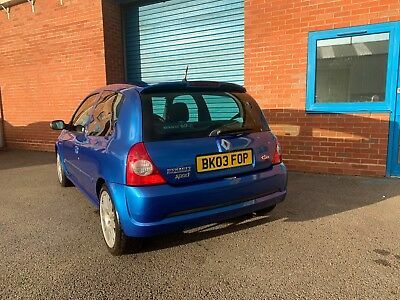 Here for sale is my 2003 Renault Renaultsport Clio 172 Cup, 2.0l 172Bhp, These were always known as the lighter racing model, cloth trim, no xenon, with additional cup spoilers, suspension, brakes etc 172bhp and just over 1,000KG giving 0-60 in 6.8 Seconds, made these a fun little car, as such a lot were stripped and used for track cars etc, with a lot ending up smashed, scrapped or purely caged track cars. 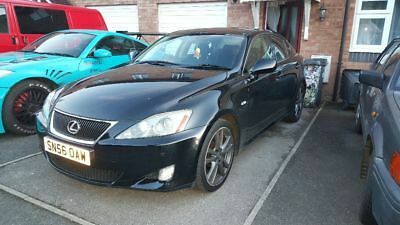 As with anything like this, the less of these that became available, the more the values went up, standard road cars are now becoming the ones to own and generally going up in value I bought this 2 years ago from an owners club member due to its ownership and mileage, I used it very sparingly for a couple of months and it then went into storage, it was serviced at the start of 2018 with the intention of selling but I decided to hold onto it and it was kept in storage again. 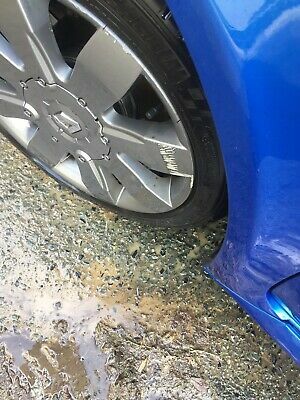 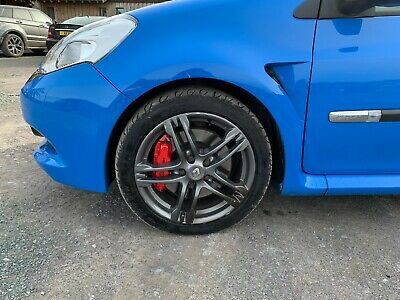 I have now decided to sell, I have put it through an MOT and had the car checked over to ensure it is good to go, so here it is:Mondial Blue (Best Colour)49,000 Miles – Very low for one of these2 Owners Factory paint (tested with depth gauge 16” Speedline Turnini with matching Yokohama tyres (3mm as advised by MOT)Snappy Re-trimmed Steering WheelEibach Lowering Springs Phase 1 Airbox Cambelt service 2 years ago (47,140 Miles) with InvoiceIt is not perfect, concours etc and although a lot of people have described the car as mint, I will just say I have seen a lot of these and it is in fantastic condition for its age, inside and out, drives fantastic and is mechanically sound. 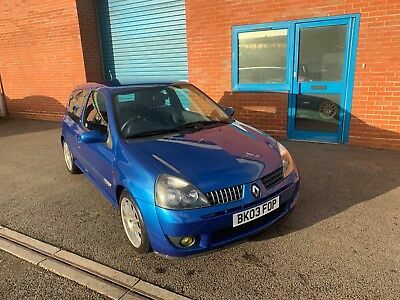 I have recently spent £200 for MOT preparation work, I have hardly used this car and it has been part of a small collection but I have decided to sell a few due to storage space. 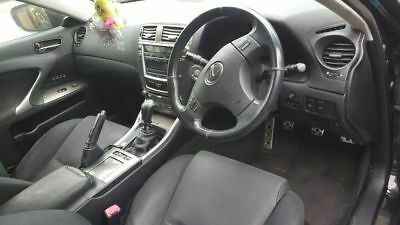 No time wasters, scammers or test pilots – test drives only to be done by me unless you have proof of insurance and or funds. 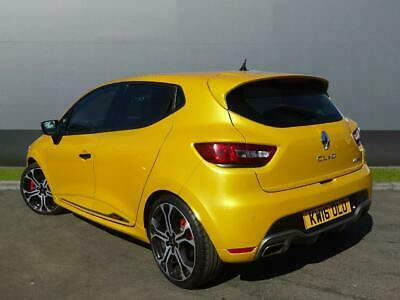 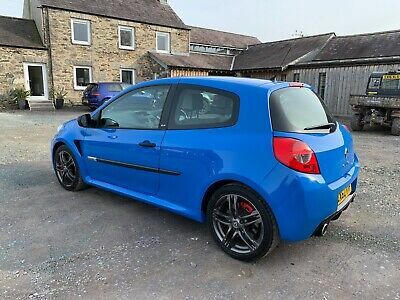 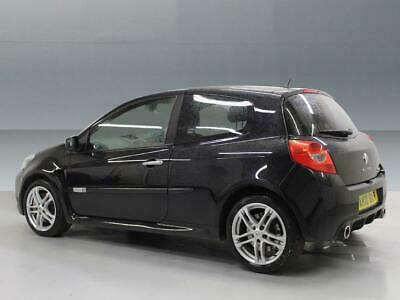 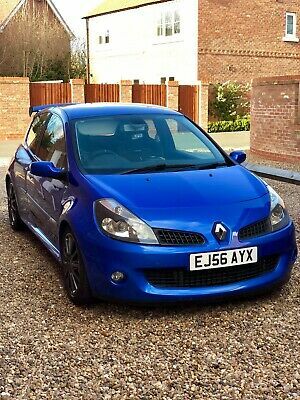 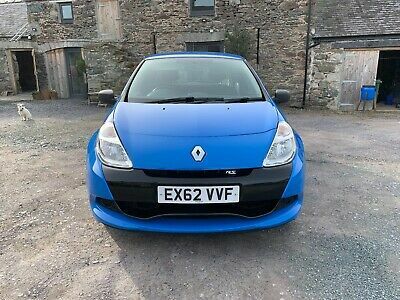 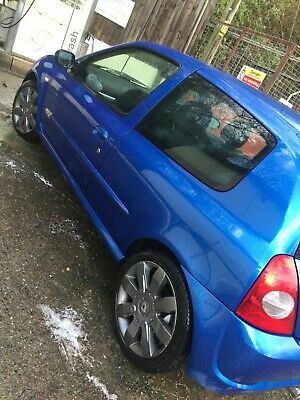 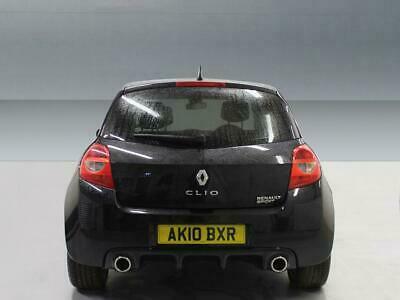 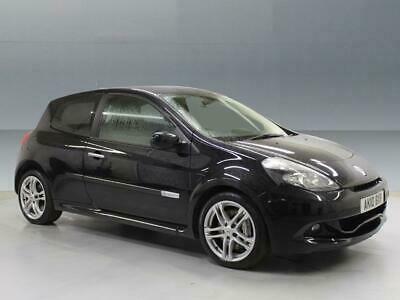 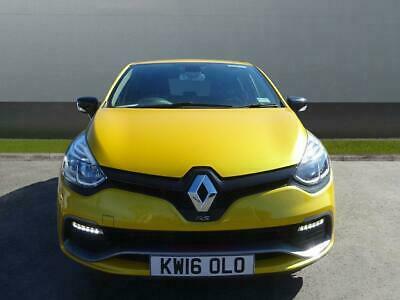 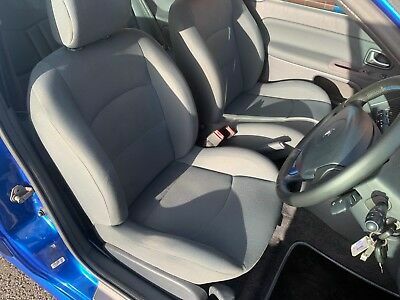 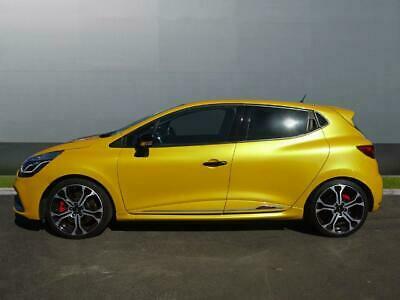 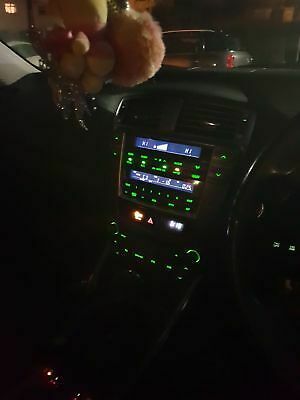 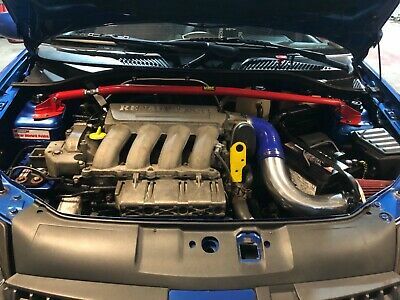 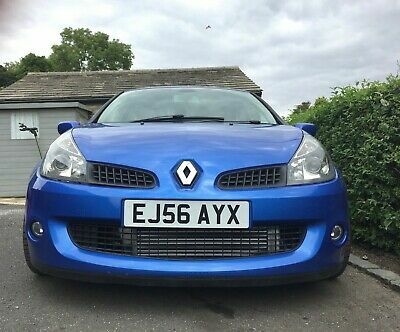 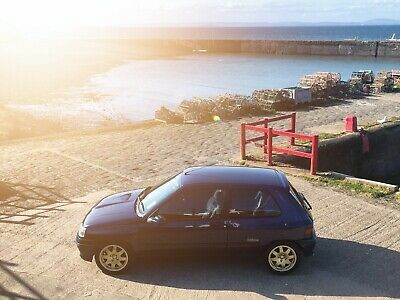 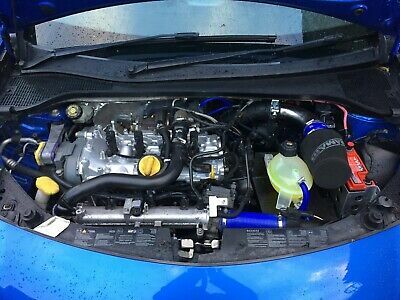 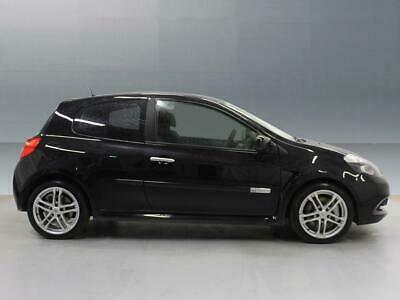 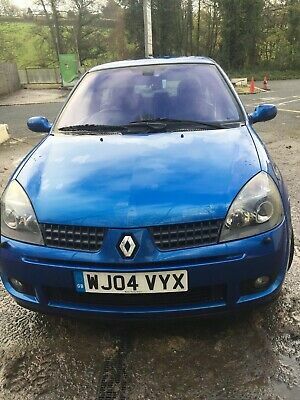 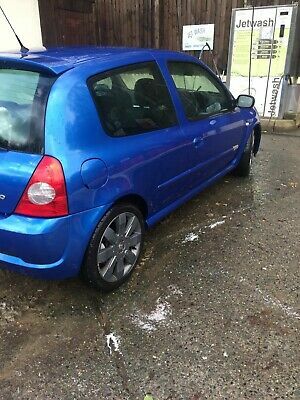 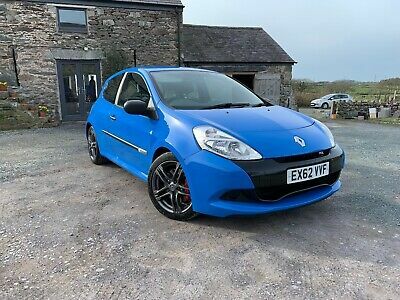 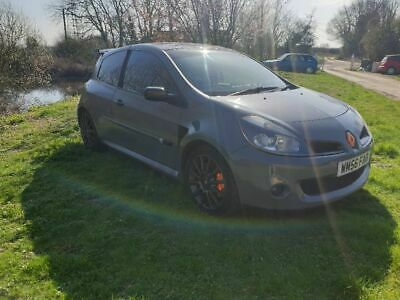 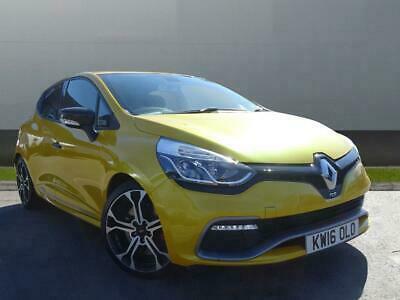 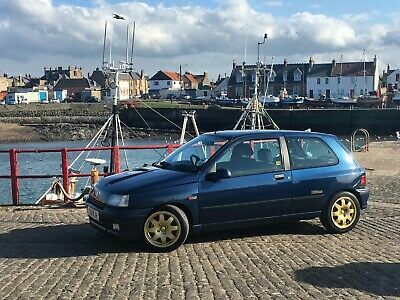 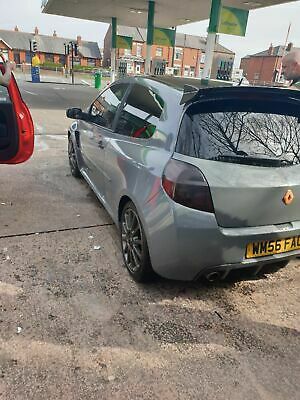 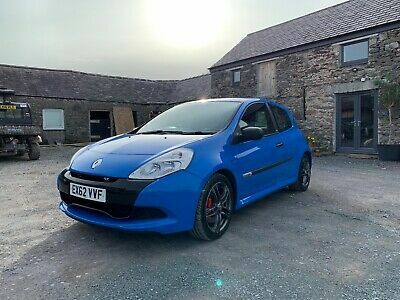 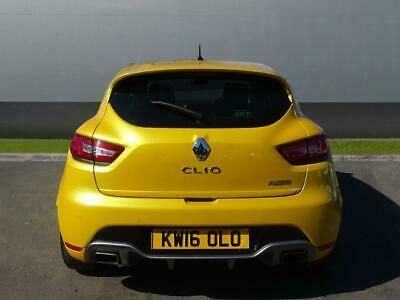 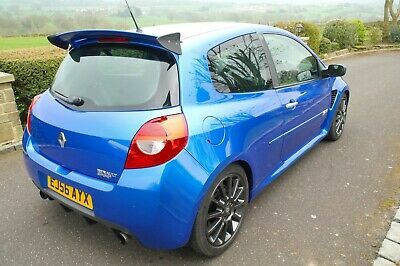 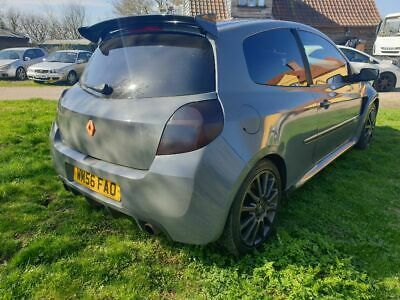 Renault Clio RS 200 Cup, Stunning little hot hatch, been very well looked after, interior/exterior mint, car drives superb, Some Service history, New rear discs and pads, MOT till September 2019, 2 x keys, V5 Logbook present, fantastic car for a young driver, looks great and running costs are sensible. 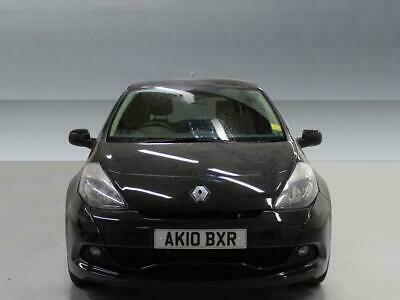 Please call 07545351699 for more information / viewing.